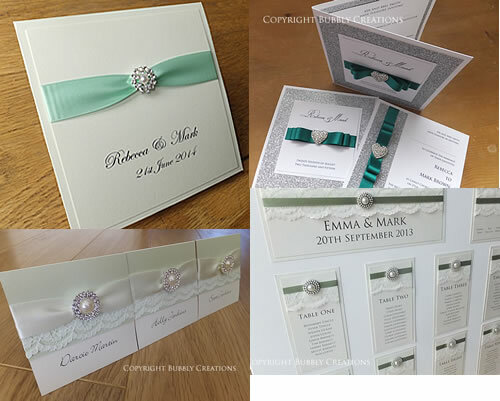 We have previously written an article on colour schemes, but that was many years ago and since then we have introduced many new wedding invitations and have made many more orders and have many more photos to share, so we thought we do an updated version. 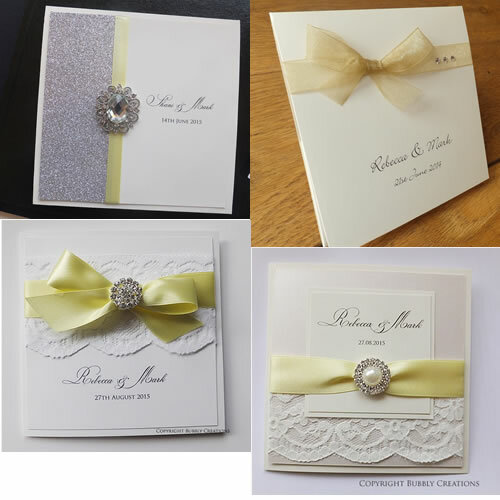 Choosing a colour scheme for your wedding day is one of the most important decisions as this colour will be involved in most parts of the planning including the flowers, bridesmaid dresses, cake and reception decoration. 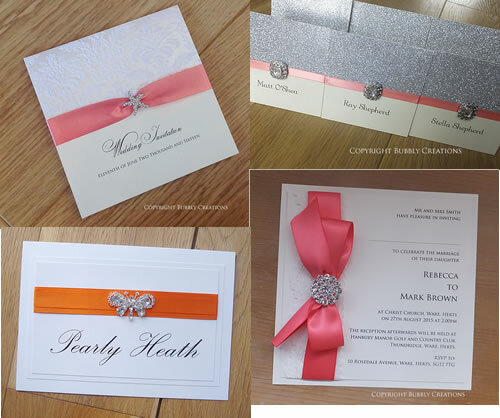 Here are some of the main colours used on our wedding stationery starting with neutral shades like white, ivory and cream up to hot pinks and orange. 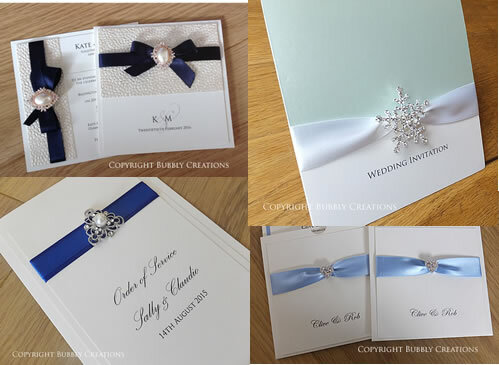 There are many shades of Blue to choose from including Ice Blue, Navy, Midnight Blue, Cobalt, Royal Blue, Pale Blue, Baby Blue, Cornflower, Sky, Indigo, Iris, Steel and Sapphire. Pink is one of the most popular shades we work with, especially dusky pink or blush pink. It is a versatile colour ranging from a pale blush pink to a vibrant hot pink. Other shades are Rose, Light Pink, Pale Pink, Fuchsia, Punch, Coral, Bubble Gum, Magenta, Hot Pink, Carnation, Cerise and Salmon. Green has become a popular shade again, especially when used with the Burlap, Hessian and Twine in a Rustic Wedding theme. Sage green is the most popular choice, but we have seen an increase in Mint green recently. Some other shades of green are Apple, Bright Green, Olive, Pistachio, Sage, Hunter, Forest, Dark Green, Emerald, Jade, Lime, Mint and Teal. 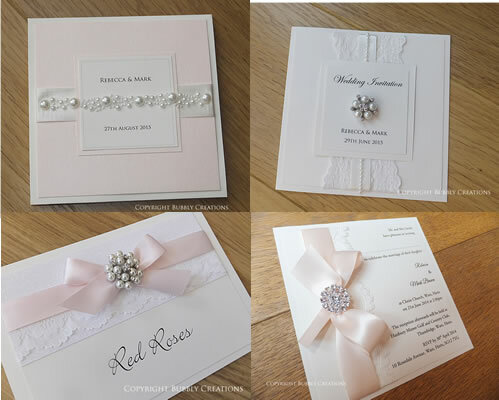 Red wedding invitations are really popular for winter weddings when used with sparkling embellishments. 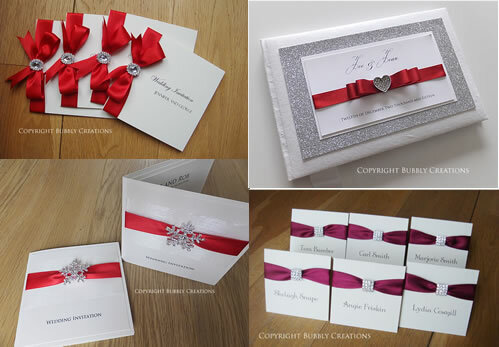 We don’t make many Red invites throughout the year, but this year we haven’t used anything else on the winter stationery we have created. The different shades of Red we have used. Burgundy, Crimson, Maroon, Raspberry, Bright Red, Pillar Box Red, Scarlet, Wine and Ruby. Orange is often used for a summer or destination wedding. It is often used on its own or teamed up with darker colours like Navy Blue. Amber, Apricot, Tangerine, Burnt Orange, Coral, Gold, Marigold, Orange, Peach and Salmon. 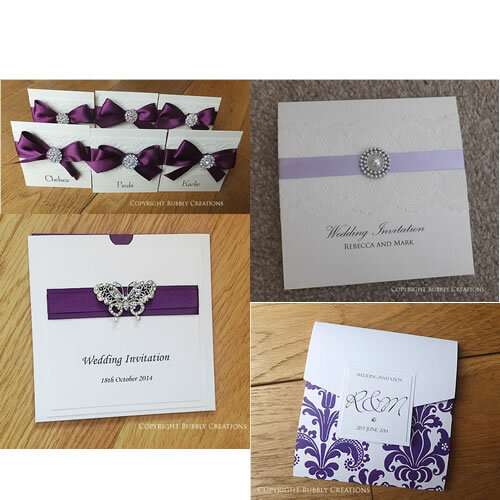 A couple of years ago Purple seemed to be one of the only colours we used when making the stationery orders with all shades being used. We were using Cadbury Purple, Plum, Aubergine, Grape, Lilac, Lavender, Orchid, Amethyst, Mauve and Heather. Yellow is perfect is you are wanting a vibrant wedding and a lemon shade is often used for spring weddings. Some other shades we use are Lemon, Saffron, Gold, Mustard and Sunshine. 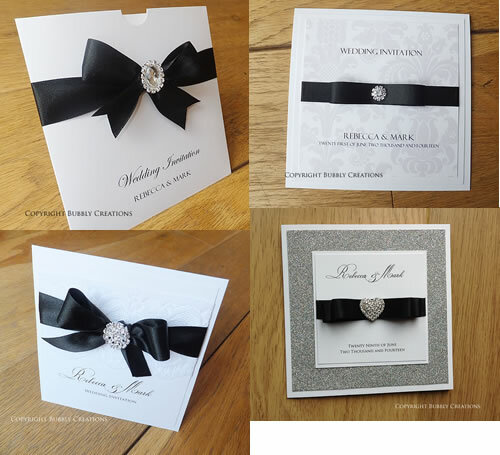 Perfect for a black tie or monochrome wedding. There aren’t many shades of black available, but there are very subtle differences between Jet, Onyx, Graphite and Carbon. A very popular colour during 2015 and is carrying on into 2016. 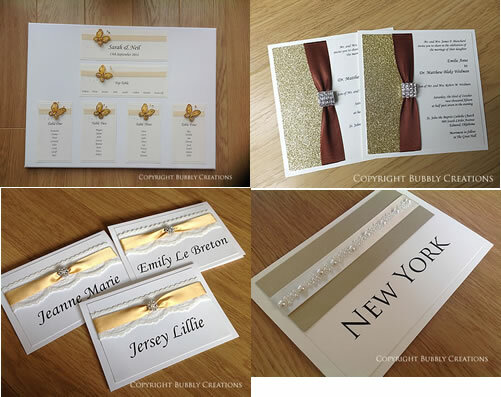 Glitter has become hugely popular with couples going for bright gold or champagne glitter to add sparkle to their wedding day. Some of the gold shades available are Champagne, Old Gold, Antique Gold, Light Gold and Bright Gold. 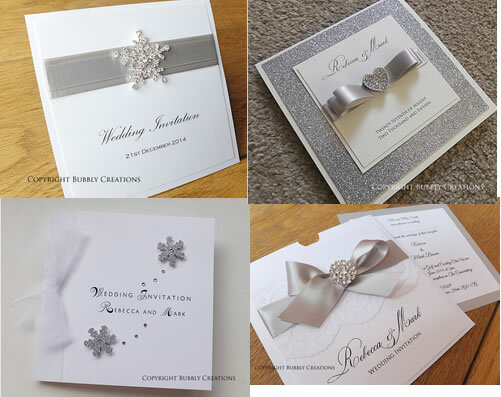 Silver has also become a popular colour which is mainly due to the popularity of the glitter card. 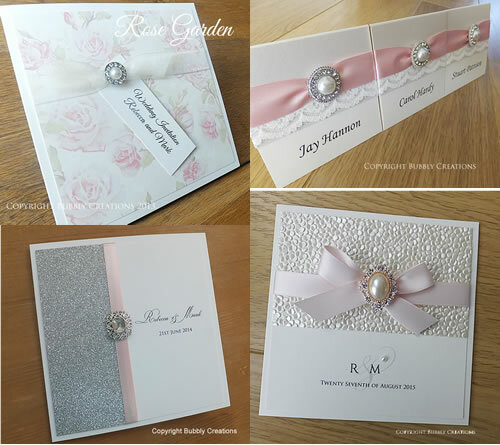 Many stationers have designs using this and couples are using this as a background and are adding their chosen colour to accompany the glitter. Grey is a popular accent colour for couples and is often seen being used with light pinks, greens, yellows and purples. Some of the shades used are Slate, Gunmetal, Silver and Dove Grey.